THURSDAY, SEPTEMBER 22, 2016 FROM 5:00 P.M. – 8:00 P.M. 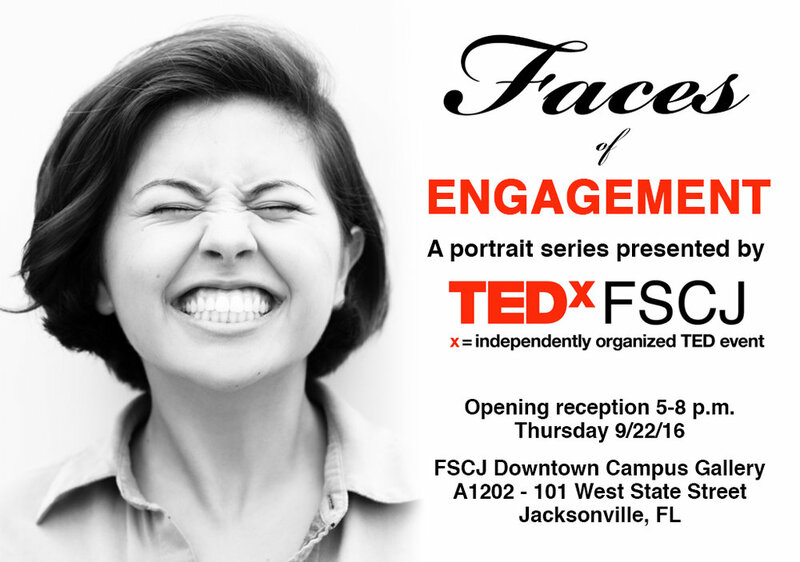 In order to highlight our theme, TEDxFSCJ put together an art show featuring portraits of people – students, faculty, staff, and Jacksonville community members – who are deeply invested in making a difference. These portraits will be featured at the Faces of Engagement art show leading up to our main event on October 8th as well as on www.tedxfscj.com, and will draw attention to those who voluntarily engage to make our world a better place.